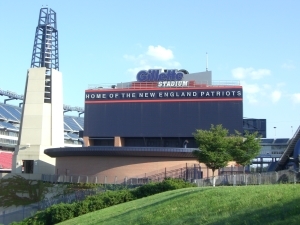 Foxboro MA is home of The New England Patriots and Gillette Stadium located on the long stretch of road that is Route 1. Route 1 and Route 140 both run throughout the town of Foxboro and are also home to a large number of restaurants, entertainment, hotels and other commercial businesses. This long strip of businesses makes Foxboro MA home to many of the commercial buildings in the Norfolk County. Aqua barriers is proud to service the town of Foxboro MA, offering both commercial and residential roofing to the many inhabitants of the town. Aqua Barriers specializes in commercial roofing maintenance repair and replacement. When it comes to commercial properties roofing becomes, even more, important. Your roof protects not only your business but the many customers and employees who inhabit your business daily. At Aqua Barriers, safety is of the utmost importance and maintaining the quality of your roofing system will ensure safety for all. Our service crew at Aqua Barriers are highly trained and experienced in roof diagnostics, inspections, repairs, leaks and more. Quality and safety go hand in hand, so it is our policy to work closely with you to guarantee the best products and strategies are used for your roofing project. If you are a commercial or residential property in Foxboro MA in need of roofing services, want to learn more about our commercial roofing services, or want to request a consultation, contact us today 800-660-1859.